A blanket ban on accessing social media networks is no longer viewed as an effective strategy, yet how can you safely leverage these networks and defend against the latest malware? Sites like LinkedIn™, Twitter™ and Facebook™ have radically altered our perceptions of how companies can engage with their customers, partners and public. Over 50% of Global Fortune 100 companies have already flocked to these sites for a multitude of intentions. 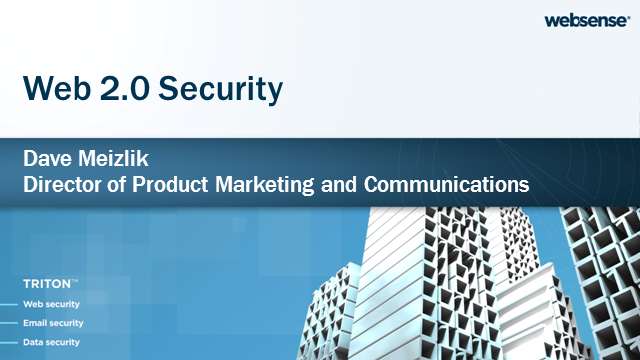 Join Dave Meizlik, Director of Product Marketing and Communications for security leader, Websense, to learn how you can safely enable use of the social Web.